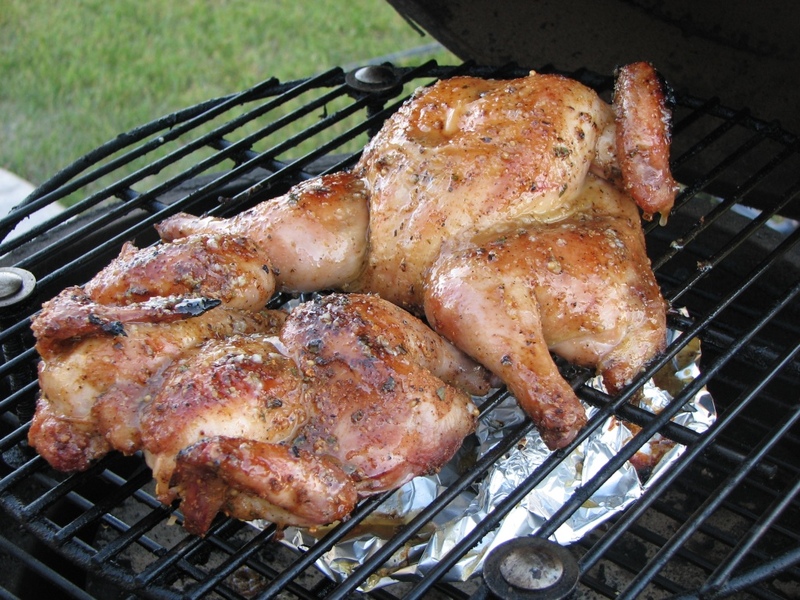 When I stopped into the butcher looking for dinner, something else caught my eye (as it usually does) and I ended up coming home with a couple of Cornish Game Hens from the freezer. When I got home, I tossed these guys into a pot and covered with water and let them thaw overnight in my fridge. The next morning I figured I should make a brine for these too, since they are so small I wouldn’t want to dry them out when cooking them. 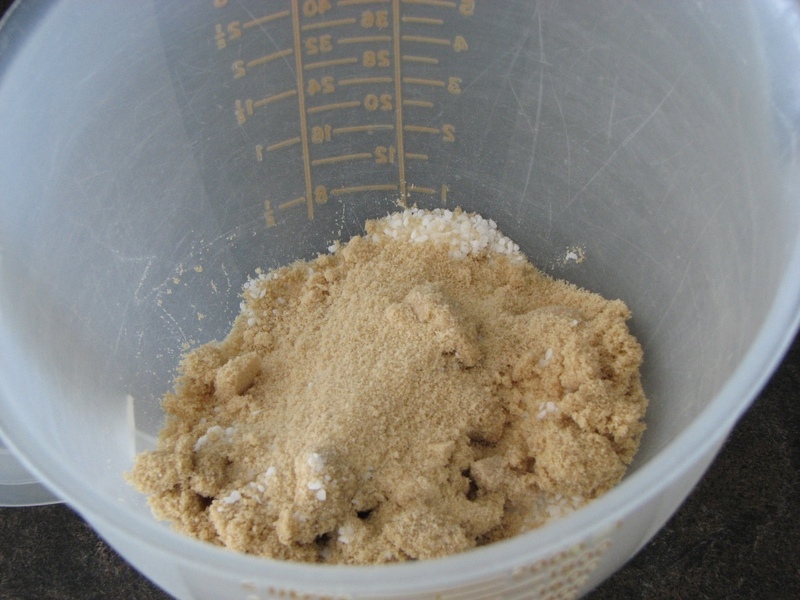 So I took about a half a cup each of brown sugar and kosher salt and maybe a few tablespoons of Maple Sugar for good measure. 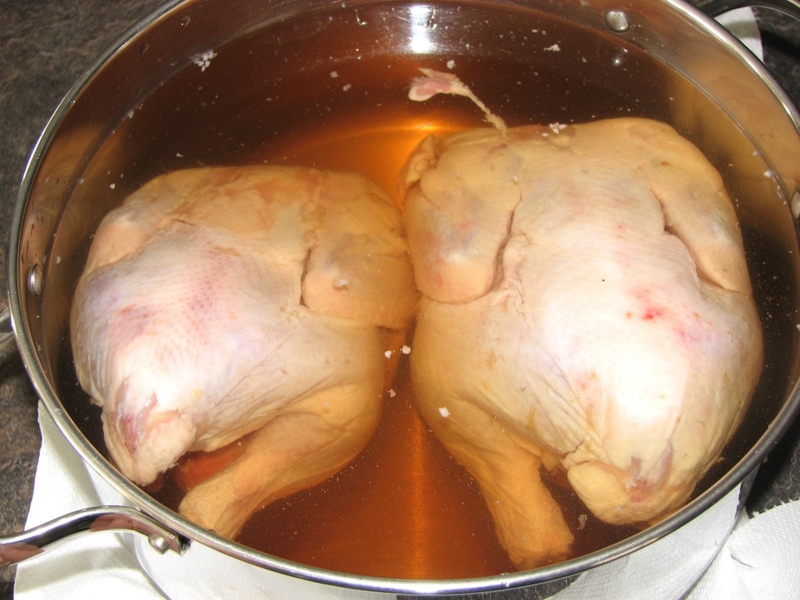 I then mixed it up in 4 cups of water and then added 4 more cups of water to the pot along with the birds and I let these sit in the brine for about 5 hours as we went out for the day. 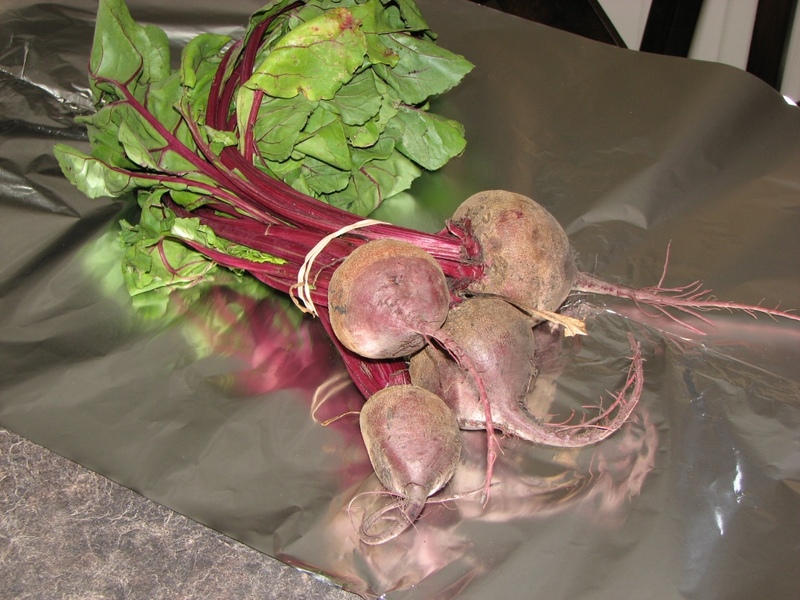 When we got home, I took them out of the brine, rinsed them under cold water, patted them dry with some paper towels and then spatchcocked them (cut them open down the backbone and lay them out flat). I then proceeded to make a spice rub with about equal parts of Fire in the Kitchen’s Smoke Eater rub and maple sugar and a little fresh cracked pepper. 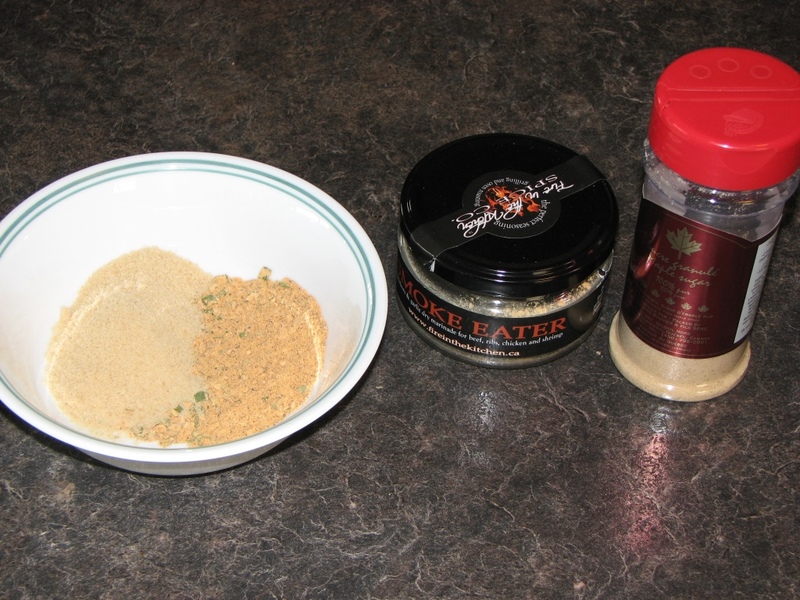 When I went to Niagara Ontario last fall I found this in a specialty food shop and it is a tasty rub that describes itself as a garlic, onion and hickory rub… but it also has a big mustard flavour too. I really liked this rub and it is made in Ontario, Canada and it looks like the ship across the country. 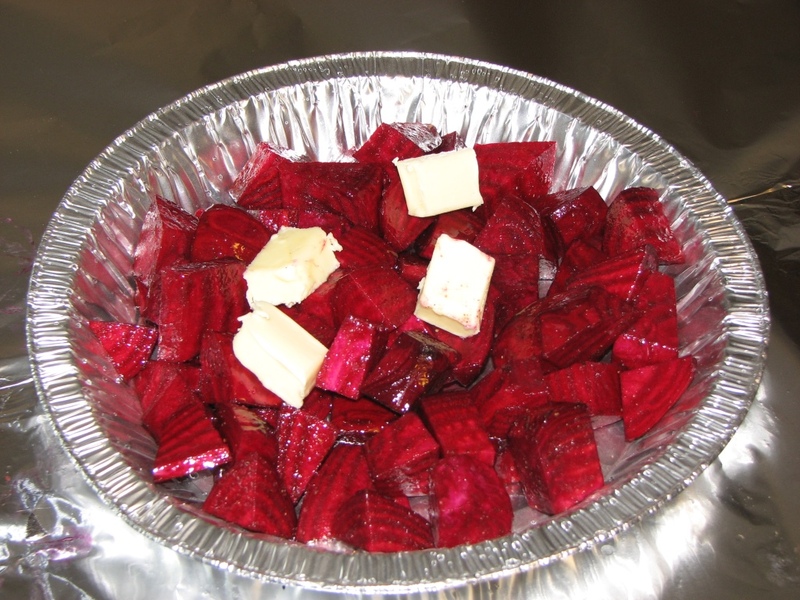 While the hens were rubbed and getting happy in the fridge, I prepped some fresh local Manitoba beets that I picked up from a local veggie stand nearby. I just chopped them up to bite size pieces, tossed with some EVOO and S&P and then about a tablespoon of butter on top for good measure and wrapped the whole thing in a foil pie plate and foil. 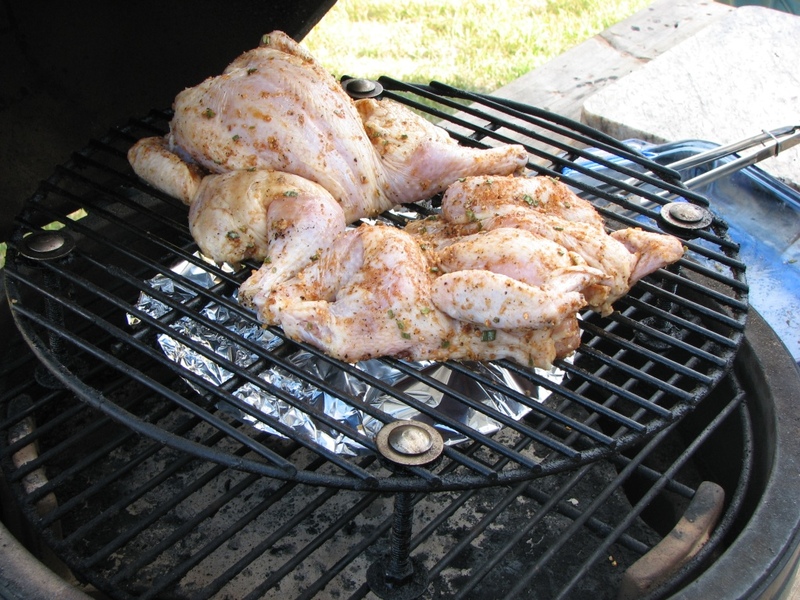 I put these on for about 30 minutes at 375F, indirectly with the plate setter set with the feet up on the Large Big Green Egg before I put the birds on. 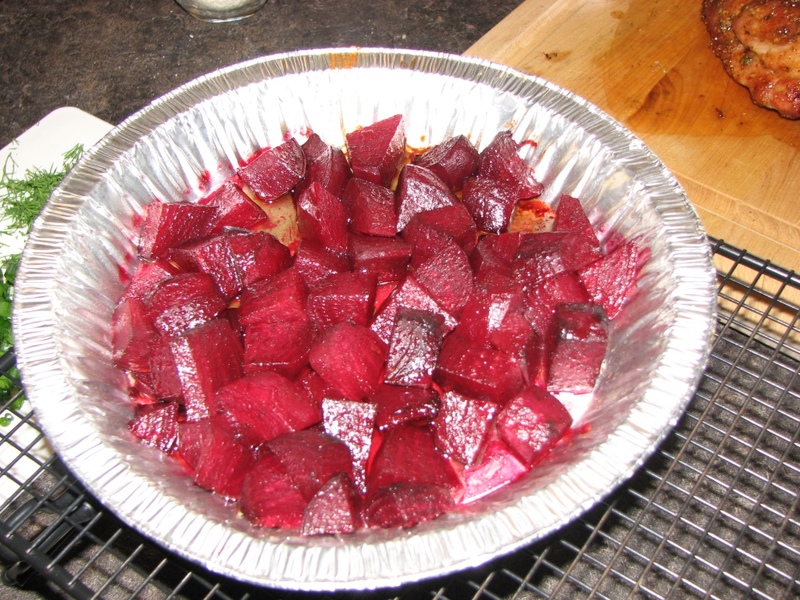 When it came time to put the birds on, I just put my raised grid over the beets and put the birds on top. I cooked these for about 50 minutes. In the mean time I made the glaze for the birds. 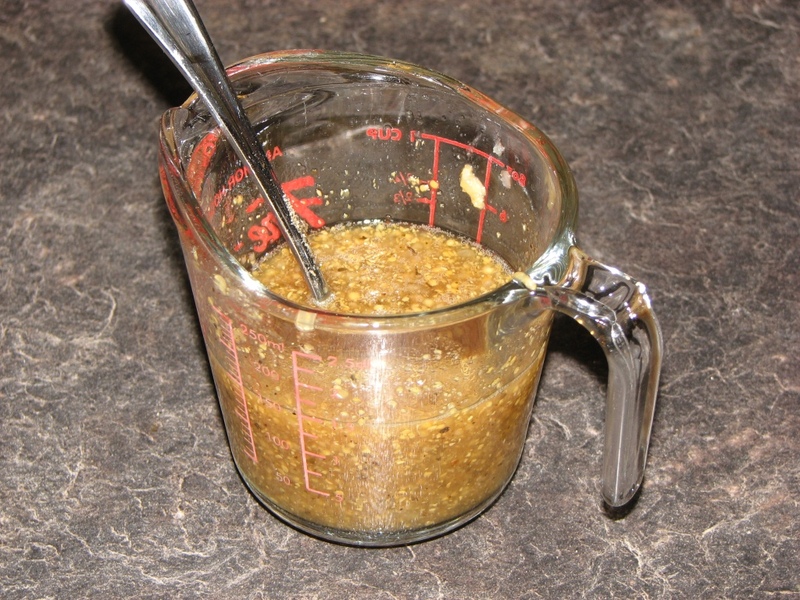 The glaze consisted of a couple tablespoons of a Maple Mustard we brought back from Quebec City with us last spring, some Quebec maple syrup, a dash of Worcestershire, 2 cloves of crushed garlic, S&P and a splash of a dry white wine for some acid. 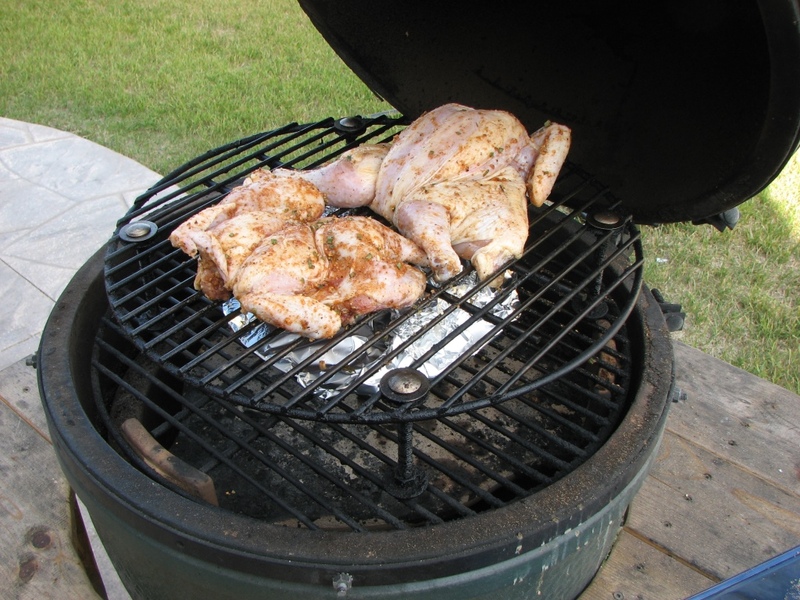 At 40 minutes in, the birds were right close to being done, around 160F in the breast meat. 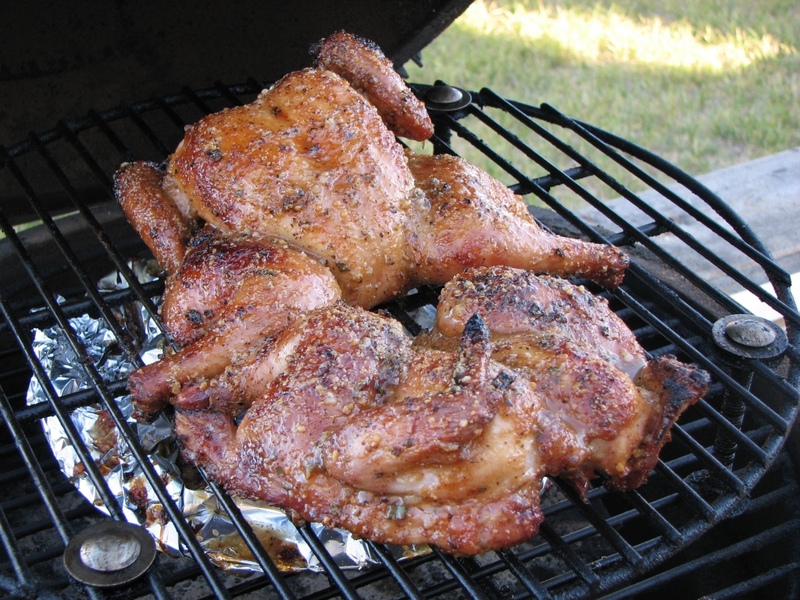 I basted the birds once and then again about 10 minutes later, using all of the glaze. 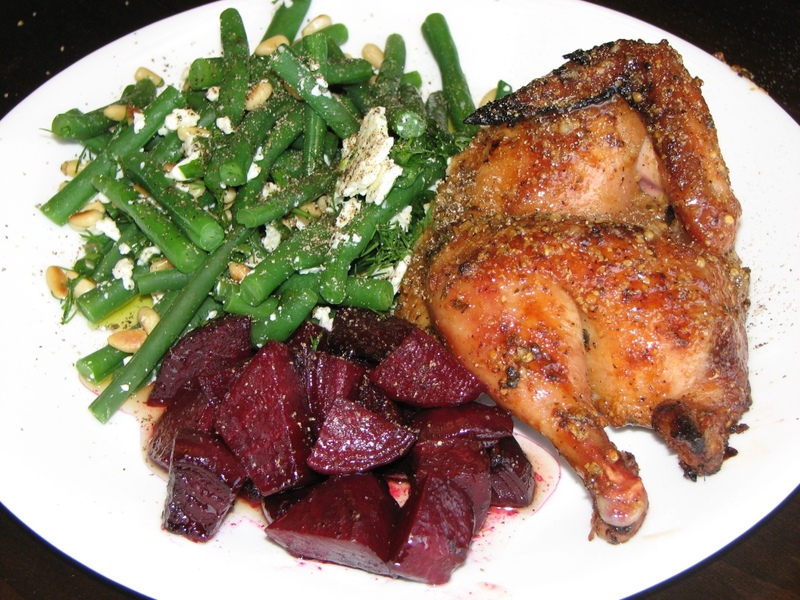 I took the birds and the beets off at this point and while they rested we steamed the beans. 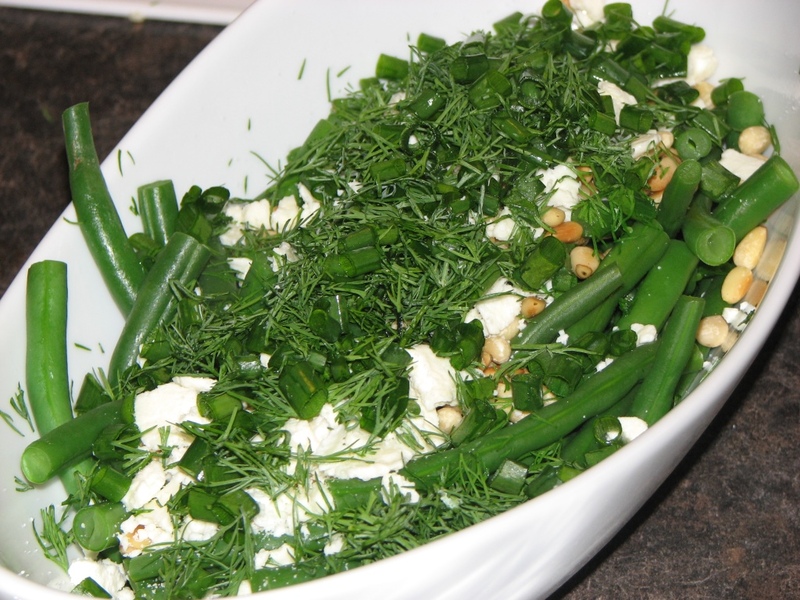 When they were finished we tossed them with some Feta cheese, toasted pine nuts, fresh local dill and green onions as well as some EVOO. I literally just cut the birds in half with a chef knife and served up half a bird on each plate. I gotta say, these were killer good!!! My mom used to make Game Hens for Xmas Eve dinner when I was growing up and that is where I got the idea to do a mustard glaze. She usually did honey mustard, but I opted for maple. Hers were good, but these were fricken AWESOME!!! 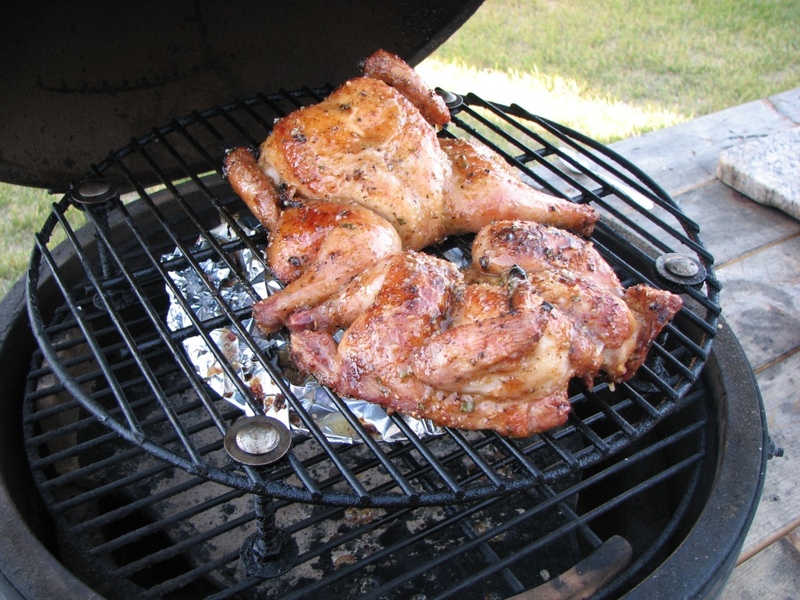 No need to wait for a special occasion to do some Cornish Game Hens. If you can find some, just spatchcock them and Egg them up!!! Previous PostManitoba Bison BurgersNext PostOur Newest Eggdition to our Family! Brian, Just one question about the brine; I usually see 1 gallon of water for a 1/2 cup of salt with soaking time of 12 to 24 hours. With your 1/2 gallon of water for the 1/2 cup of salt is that why your soak time was 5 hours? 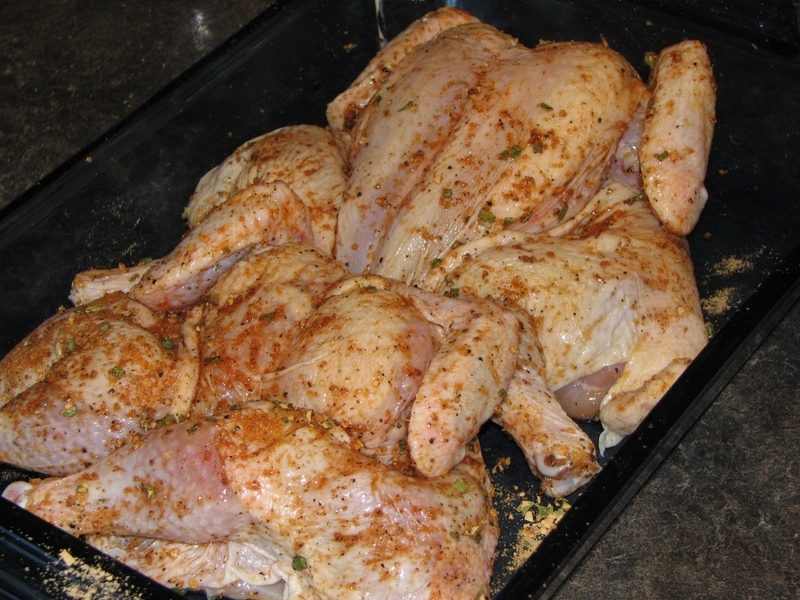 I have messed up brine recipes before and come out with too much salt taste in the meat after a cook. Any brine advice is appreciated. 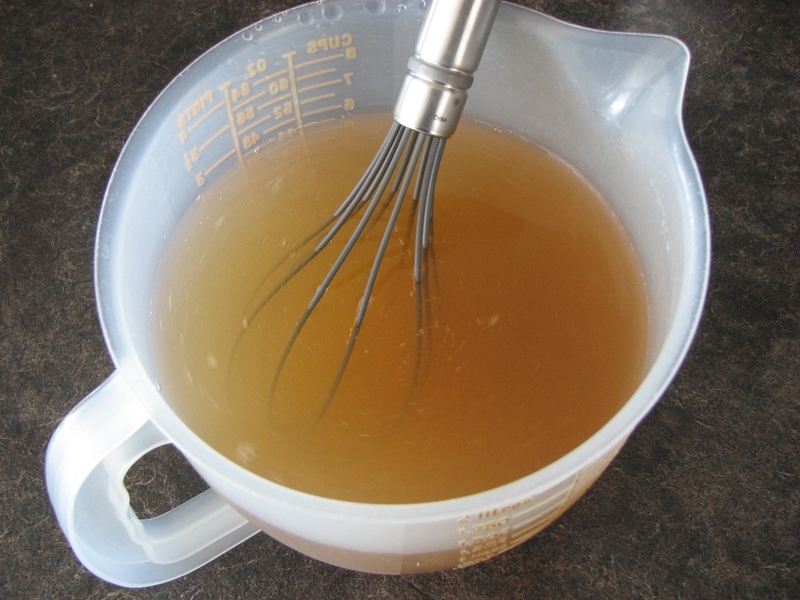 I have found various brine recipes and to be honest, this time I just winged it. As for the time, well these are a small birds. 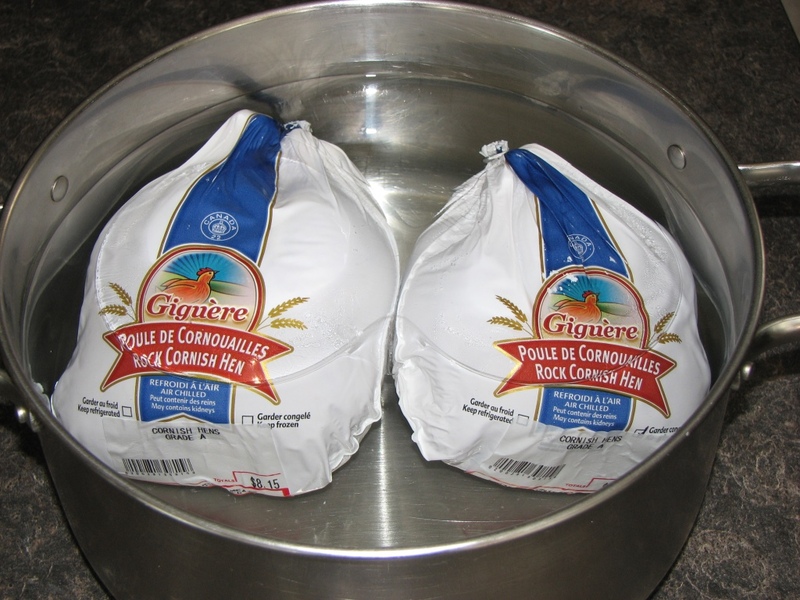 I will do a Turkey overnight and let it get happy for 12-24 hours but I didn’t want to kill these. I would say the brine did the trick because they were so super moist and juicy. I also rinsed the birds off after taking them out of the brine to wash off any extra salt. Gorgeous, Brian, those birds look perfect. Makes me want to go out and get some. Why is it that we don’t do these more? They shouldn’t be reserved for Christmas or special occasions. Agreed!!! No need to wait for special occasions. They aren’t that expensive and they are so tasty too!! !